When it comes to sleep, we don’t want you to worry about anything. Synthetic foams, or semi-synthetic foams are attractive at first sight, but they have skeletons hiding in their closet. Come summer, you’ll be wondering why you even thought that super soft but super hot! mattress was a good idea. While your memory foam might be able to hold a glass a wine while you jump on your bed, it’s not doing you any favours during the hottest season of the year. What’s more, what about the sustainability of it all? Synthetic foams have a ridiculous amount of very questionable additives. Want something soft, flexible & sustainable? Natural Latex is your answer! Learn more about the benefits of Natural Latex, and how it differs from synthetic & semi-synthetic latex. Natural latex is a very comfortable, flexible and supportive. It conforms to your head and neck, offering support to help keep your spine aligned. It is very adjustable and elastic, meaning that you won’t need to fluff up your pillow as much. Natural latex is also dustmite resistant. If you are allergic to dustmites choosing a natural latex pillow can often relieve allergies, and will let you have much sounder sleep. Natural Latex is a very responsive material: that means when you move, it will adjust to you. 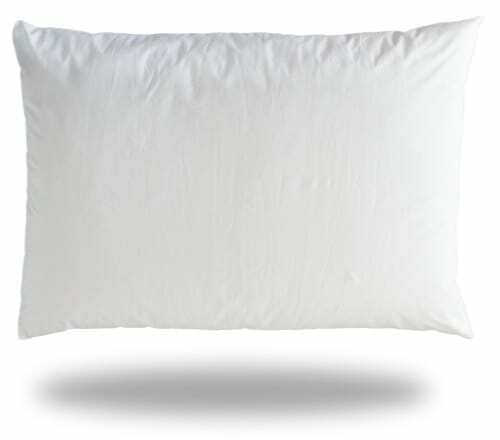 With shredded natural latex pillows, your head will be supported by a fluff-like feel, with more neck support than feathers and down. 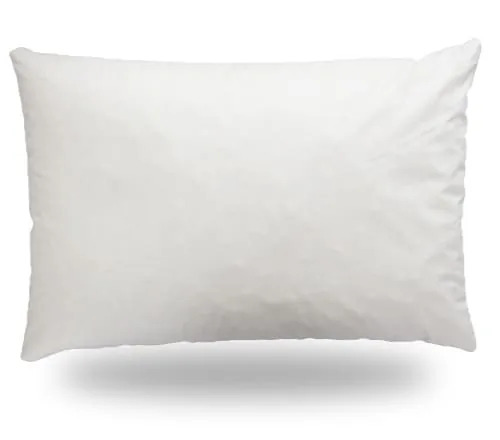 With natural latex pillow core pillows, your head will be on a flat and firmer surface, and will always adjust to the shape of your head, and keep your neck and spine perfectly aligned while you sleep. To learn more about natural latex pillows, visit our shop page. The rubber latex used for bedding, is all tapped from rubber trees. The latex is manufactured into a consistent product through a “Dunlop” or “Talalay” process. Before the finished latex mixture is poured into the mould, the latex can have fillers, such as polyurethane and chemicals added to the latex to cut down on cost. When these fillers are added, synthetic latex is the final product. Synthetic latex is a blend of latex and fillers which make the synthetic latex cheaper, less durable and more carcinogenic. Most “natural latex” bedding on the market contains fillers. Unfortunately, companies can call latex “Natural Latex” as long as there is a percentage of natural latex in the synthetic blend. So when shopping for truly natural latex bedding, it is best to make sure it is 90% natural latex or more, as opposed to say 50% natural latex, disguised as just Natural Latex. The cost of 100% Natural Latex is always higher, but the durability, sustainability, and health benefits are worth every penny. It is also important to know that 100% natural latex does not exist. Because 100% natural latex is just pure rubber sap, and cannot be made into anything. Natural latex needs at least a little bit of additives, because the sap alone cannot mould into any shape on its own. Our natural latex is 97% natural, according to sample tests performed in Germany. 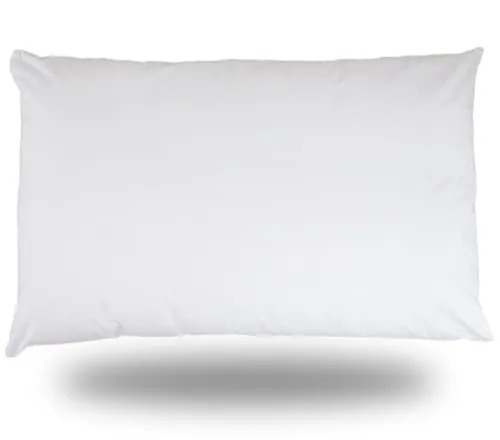 When choosing a Latex Pillow, Natural Latex pillows will keep you healthy and happy while you sleep. Indeed, because of their non-toxicity and their resistance to allergens, such as mould, dustmites, you can sleep safe and sound. Natural latex is much healthier and more resistant to allergens compared to synthetics and down and feathers. Indeed, synthetic materials and down filled pillows, provide very hospitable environments for such allergens to develop. If you’d like to learn more about Natural Latex pillows, visit our shop page. Our materials being all certified with Oeko-Tex and GOTS, we’re able to promise that our products are healthy, safe, sustainable, and ethical. Oeko-Tex labs test for over 200 potentially harmful substances, to make sure you won’t get sick or be harmed from the product you’re buying. GOTS has strict sustainability standards, and checks every single step of the creation of a material: from the growing of the cotton seed, all the way up to the manufacturing of the end product. So you can be sure that nothing fishy went on in the making of your bedding, and you’re being nice to the planet!